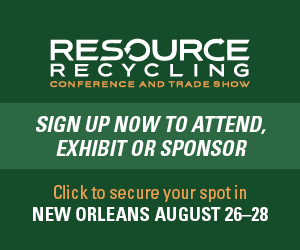 Start your free subscription to Resource Recycling magazine! Thank you for your interest in Resource Recycling magazine. Simply complete the form through our easy, online platform to start your free subscription today! This offer is available only within the U.S. For foreign subscriptions, click here. Curious what’s inside? Below are some recent contents from the magazine.